For over 40 years, Philippe Stern has collected an array of European timekeepers which now comprise one of the largest and most important collections of its kind in the world. In 2001, a long held ambition to open a museum to house the collection was realised with the establishment of the Patek Philippe Museum in Geneva. This private and family owned museum is open to the public and aims to explain the horological traditions of Europe to its visitors. “In opening this museum, Philippe Stern has shared his private collection with the public and made the knowledge available to a wider audience. In this digital era, the collection, the museum and the high-quality publication are precious records of the evolution of this technology”’, stated the jury. Philippe Stern’s collection is composed of around 1,200 timekeepers from across Europe. The majority of the pieces are from Switzerland but many originate from France, England, Austria and The Netherlands among others. In this way, craftsmanship from across Europe is represented and celebrated at the museum. The jury appreciated this aspect of the project noting that “the collection embraces the most valuable, characteristic and outstanding timepieces from the horological centres of Europe”. The acquisition of each timekeeper was always followed by detailed research. The purpose of the research was to discover the progress of innovations in watchmaking and how these innovations reflected scientific and social advances at the time. The keystone of this endeavour was to publish a catalogue describing the collection in this historical context and to present the collection to a broader audience of specialists and admirers. 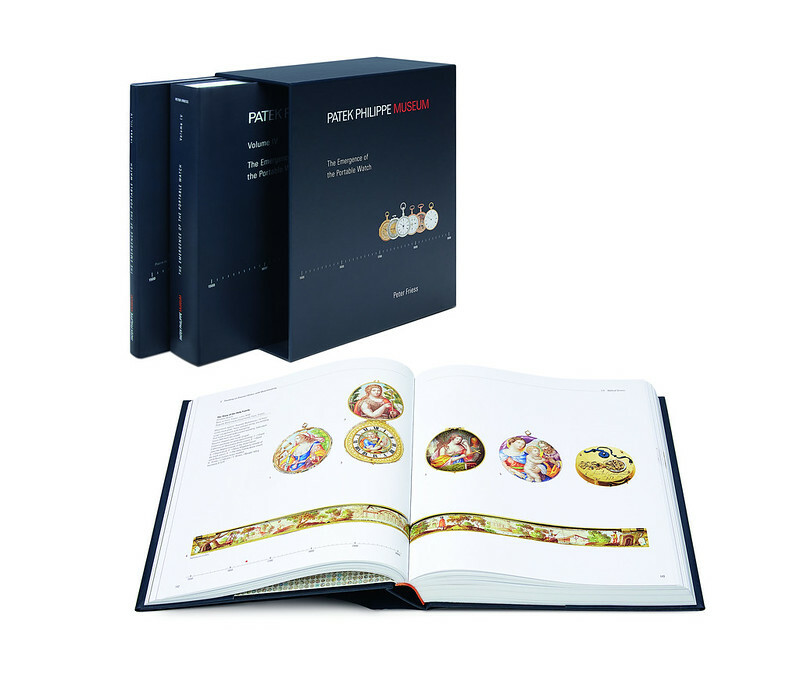 The catalogue is the result of a great feat in dedicated and minute research, undertaken by Philippe Stern, president of Patek Philippe, and then compiled by Dr. Peter Friess, Director and Curator of the Patek Philippe Museum and the author of the publication.The catalogue diligently details the various aspects of each timekeeper. Some of the timekeepers are less important because of their relatively simple mechanisms, but other details such as the enamelwork, the paintings or the metalwork are often outstanding. The acquisition of each piece in Philippe Stern’s collection was followed by research into each of these details. All of the timekeepers have been photographed using a specially developed technique in order to make visible all of their parts both inside and out and has greatly enriched the study of horology in this way.